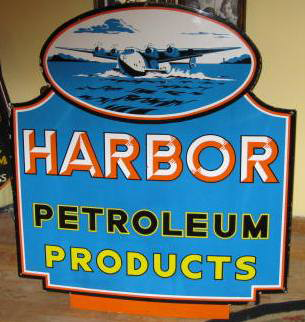 This is a die-cut Harbor Petroleum porcelain sign. This particular Harbor Petroleum sign is blue with black, yellow, and orange text. It reads, “Harbor Petroleum Products” and features a plane flying low over the ocean at the top.